I have some wonderful news. For the next 6 months I will be joining the lovely ladies on the Ooh La La Creations Design Team. Ooh La La Creations has a challenge blog and there's a new "Vintage" theme challenge starting today. Hope you can join us! To create my card, I used a gorgeous image and print papers from the Ooh La La Creations CD called The Shawn Jenkins Collection. I also used some lace, pearls and twine from my stash along with a Whimsy corner die. The main image was attached to the card base with pop dots which gives it a bit more dimension. Congrats and what a pretty vintage image. 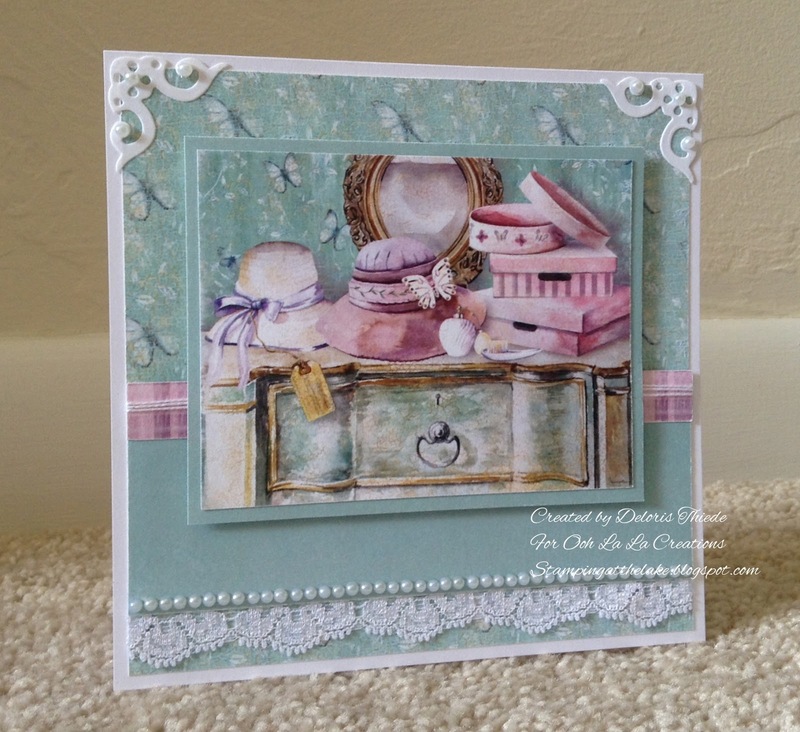 This is a beautiful card Deloris, such a pretty image and lovely lace and pearl details. Welcome to the Ooh La La Team, I'm so glad that you have joined us. Gorgeous card Deloris beautiful image.